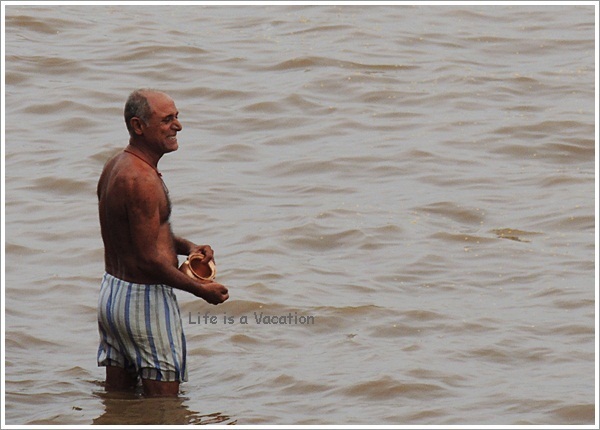 Maheshwar is a sharp contrast from Omkareshwar though both are located on the banks of Narmada. While Omkareshwar had all the characteristics of a pilgrim town, Maheshwar had a sense of calm where you could sit by the river and watch the world go by without being hassled by priests or hawkers. After spending a weekend in Maheshwar, it leaves no doubt why this place found favour with Ahilyabai Holkar, the great Maratha Queen who ruled greater part of central India (Malwa) from the Ahilya Fort in Maheshwar. I spent most of my waking hours in Maheshwar on the steps of the ghats along Narmada, watching the undulating waves as they rose upward and then slowly dissolved away. Think of life and most of the issues that we fret over behave much in the same way only if we had the patience and faith to believe this too shall pass. 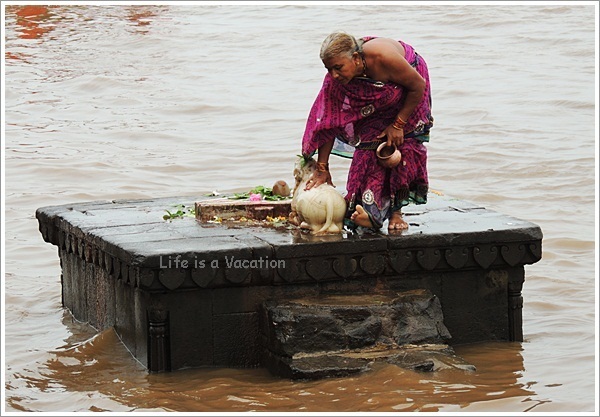 I walked along the river side one morning in Maheshwar, observing the many different “Om Namah Shivaya” moments. It is not about worship, not about prayer but just being with the 5 elements of nature. “Om Na Ma Shi Va Ya” is the universal 5 syllable chant which encompasses the five elements of nature which also comprise the human body. I would often wonder why people stood in waist deep water looking towards the sun in prayer until I realised the ancient science behind it. The negative energy in the body slowly recedes from our physical bodies and etheral bodies (aura) once we stand in waist deep water for a long time (until the base of the spine) making way for the positive energy of sun to activate our energy body. 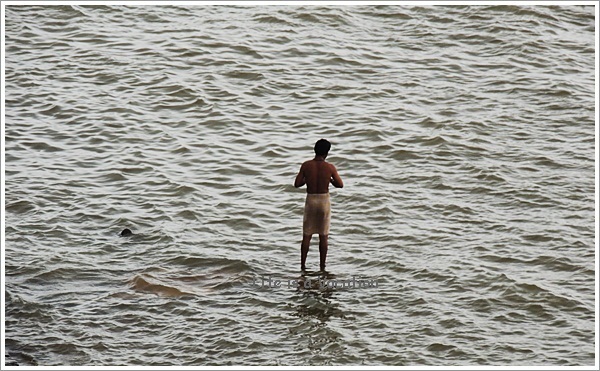 More from the ghats in my next post, while you experience the magic of Shiva Panchakshari Stotra – Om Nama Shivaya!! 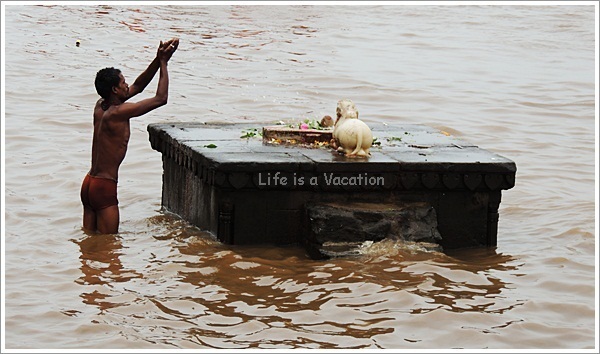 Travel Tip: Maheshwar is 90 kms from Indore which is the closest Airport and Rail Station. There are regular buses to Maheshwar from Gangwal bus stand and taxis can be hired easily from airport and railway station. Interesting narration and beautiful images!